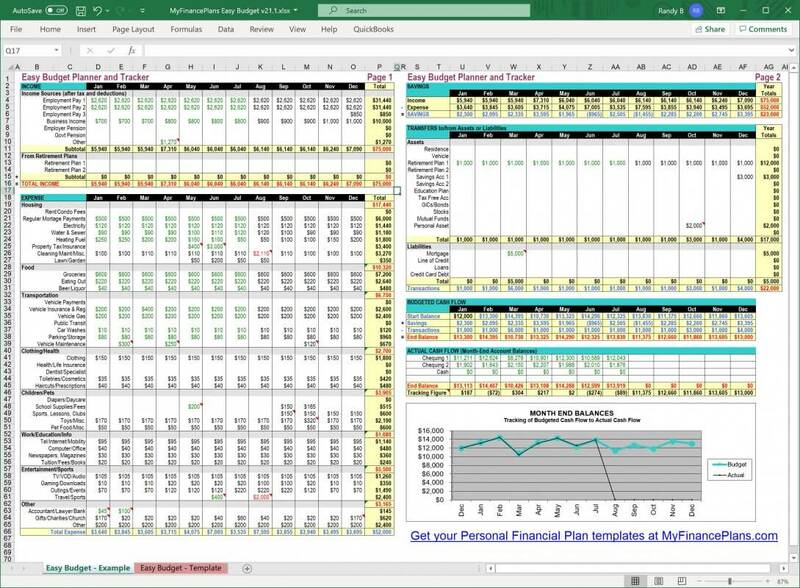 The MyFinancePlans Free Easy Budget Template is an easy to use 2 page annual budget spreadsheet template for individuals or families. It enables you to plan your monthly income, expenses and savings, and to track and adjust your plan against actual amounts through the year. 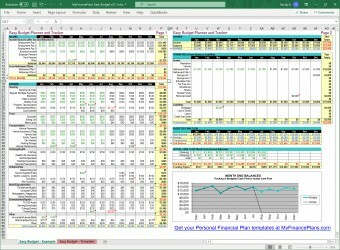 Start with this Budget template, or even better, start instead with one of the MyFinancePlans Financial Plan templates. What is the Free Easy Budget Template? 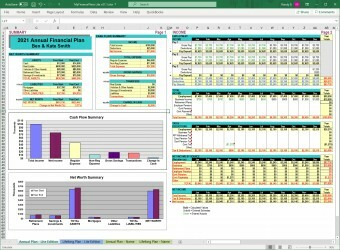 The MyFinancePlans Easy Budget Template is the best and easiest to use 2 page annual budget spreadsheet template for individuals or families. It enables you to plan and track one calendar year of monthly income, expenses, savings, transfers to assets/liabilities, cash flow and account balances. Please note that the Easy Budget Template is not a Financial Plan as it does not include all the functionality and features of a financial plan. Financial Plan features and functionality are included in the MyFinancePlans Financial Plans of which 3 editions are available - Basic, Lite and Full. 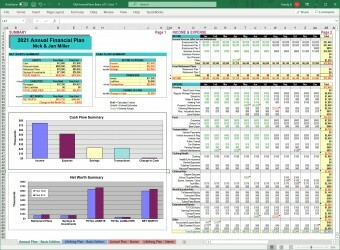 The Easy Budget Template is similar to pages 2 and 3 of the Annual Plan part of the MyFinancePlans Basic Edition. For details of the features of the Basic, Lite and Full editions of MyFinancePlans Financial Plans click on the Compare Plan Features tab above. MyFinancePlans User Guide - a PDF document file (.pdf) which covers all editions of MyFinancePlans Financial Plans and the Free Easy Budget Template. How to get the Easy Budget Template and Guide files? Obtain your copy of the MyFinancePlans Easy Budget spreadsheet template by clicking on the Add To Cart button and checking out. Checkout is required but the payment processing is skipped because the template is free. Immediately following your order an email message will be sent to you with a download link in it. Open this email message and click on the link to download the zip file to your computer. Then find the zip file on your computer and unzip it using Windows or any Zip program to access the files within. Open the spreadsheet file with Microsoft Excel 2003 or newer, or any compatible spreadsheet program. Open the User Guide with Adobe Reader or any PDF viewer program.